Involved in a motorbike accident that wasn't your fault? Although motorbike accidents only make up a nominal percentage of road traffic accidents in the UK, injuries sustained in such circumstances can be serious and accidents can be fatal. If you have suffered a motorbike accident which resulted in an injury, you may be eligible to make a claim for compensation. Our experienced solicitors will work closely with you to build a case and aim to achieve the highest compensation award possible. Your solicitor will help you to understand the processes involved in making a claim and help you to manage your expectations with regards to what will be required from you and how much compensation you are likely to be awarded. Statistics published by the Department for Transport show that 4,866 motorcyclists sustained serious injuries in road accidents on UK roads in 2013, with 331 fatalities in the same year. Ascertaining the cause of the accident is key to determining the liability, and so it is important to recognise what led to your accident. Can I make a claim following my motorbike accident? In order to make a successful motorcycle accident claim, you will need to be able to provide evidence of any injuries that you sustained and prove that the responsibility for the cause of the accident lies with somebody else. Even if you were partially to blame for the accident, you may still be able to make a claim for compensation. If you have suffered a motorbike accident which resulted in injuries and the liability lies with another party, it is likely that you will be able to make a successful claim for compensation. Our solicitors will help you assess your eligibility and give you a guideline of the likely amount of compensation that you will be awarded. 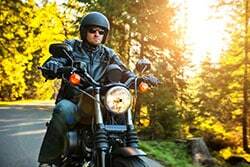 What will I need in order to make a successful motorbike claim? Photographs of the accident scene. The photographs should ideally show the positions of any vehicles involved in the accident, the damage caused, the condition of the road and any other relevant factors such as weather or obstacles in the road. Copies of any police statements and hospital records. Details of any injuries that you have suffered and medical evidence to support diagnosis and treatment. Receipts for any treatment, medical care and travel related expenses. Your solicitor will work with you to determine what information may be relevant to your case, though it is always wise to save and record as much information and as many documents as given in order to present your legal team with as much detail as possible. Our solicitors are pleased to offer clients the potential to make their motorbike accident claim on a no win, no fee basis. This means that if you suffered an injury following a motorbike accident, you will be able to utilise our expert legal advice and pursue a claim for compensation without financial risk. Fees will only need to be paid as and when your claim is successful and where possible, our solicitors will recover costs as part of the settlement offer. You will be informed of the rates of fees when you have your initial consultation with your solicitors. What are the time limits for making a compensation claim? Successful personal injury claims must be initiated within three years of the accident date in order to be acknowledged by a court. It is wise to begin your claim as soon as possible to ensure that evidence is readily accessible, memories are fresh in your mind and that the statutory time limits for making a claim are not missed. For children who are involved in accidents, the three year time limit will commence from the date of their 18th birthday. Alternatively, a parent or guardian may act on their behalf, and any compensation award can be held in a specific account for the child until they become an adult. How much compensation will I be awarded for my motorbike accident claim? The amount of compensation that you are awarded will depend upon the specifics of your case and your solicitor will be able to give you guidance on the likely outcome of your claim to help you manage your expectations. Several factors influence the level of compensation that is awarded to claimants, including the severity of injuries and damage and the level of liability of other involved parties. By presenting a strong and thorough case, you will increase the potential of receiving a larger settlement award and your solicitor will offer advice and guidance to ensure that your case is presented efficiently and as strong as possible with the view to receiving the highest possible sum. If you or a family member has been the victim of a road traffic accident, there are several excellent charities available to provide support and information. 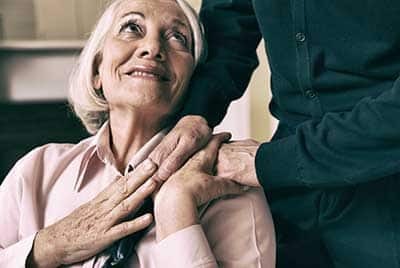 The British Biker Relief Foundation offer motorcyclists and their families a wide range of support, including counselling and help with mobility aids and home help equipment. Brake is a national road safety charity that is also available to provide assistance and support following road accidents. Their helpline can be used to gain access to legal advice, support groups and advocacy.